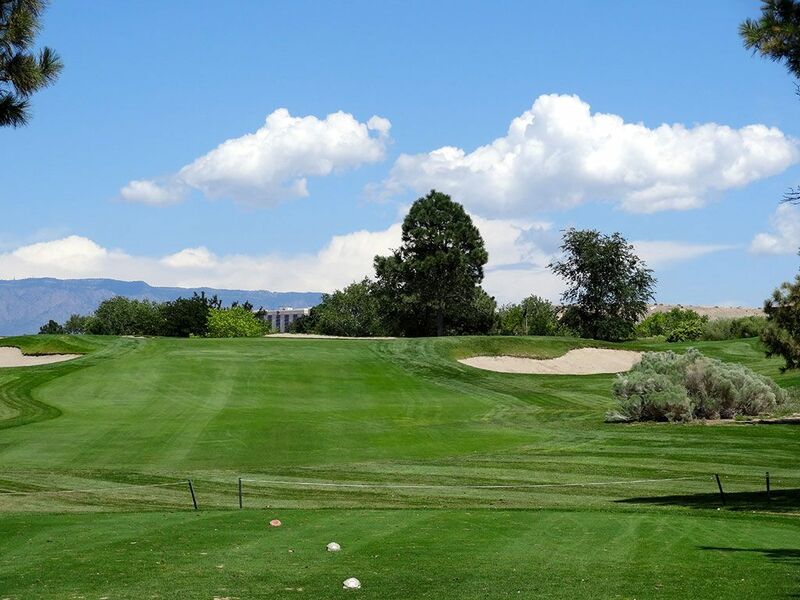 Course Website: Official Website - Visit University of New Mexico Championship Course's official website by clicking on the link provided. 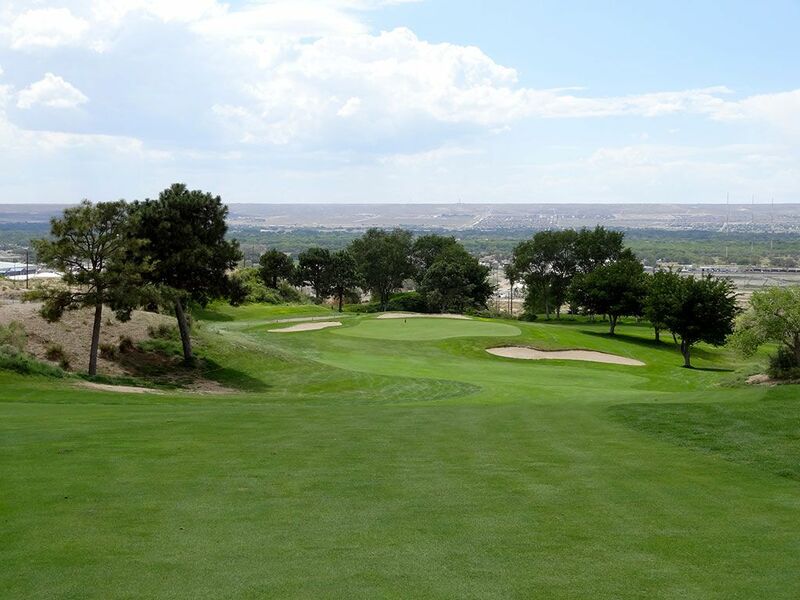 Accolades: Ranked 4th in New Mexico on Golf Course Gurus' Best in State list. 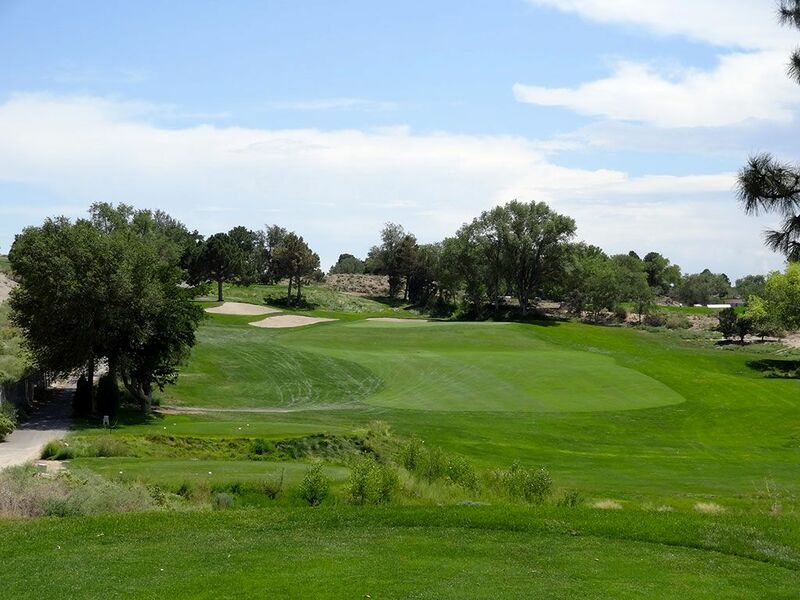 What to Expect: The most historic course in the Land of Enchantment is the famed Championship course at the University of New Mexico. 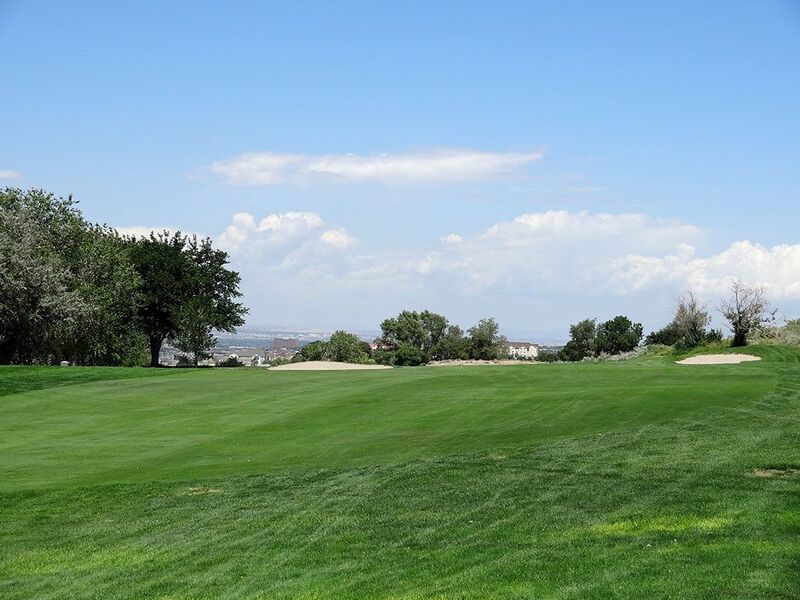 Longtime host of the William H. Tucker Intercollegiate tournament, this Robert 'Red' Lawrence design opened in 1967 and is conveniently located just two miles from the Albuquerque airport. 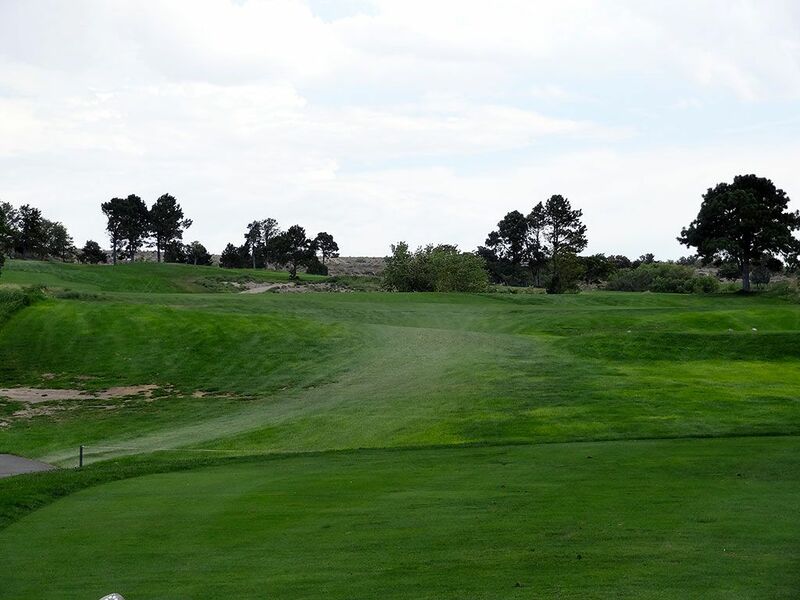 A lengthy 7562 yards from the "Lobo" tees, the Championship course is a stern test that features a 270 yard par three and a 520 yard par four among its challenges. 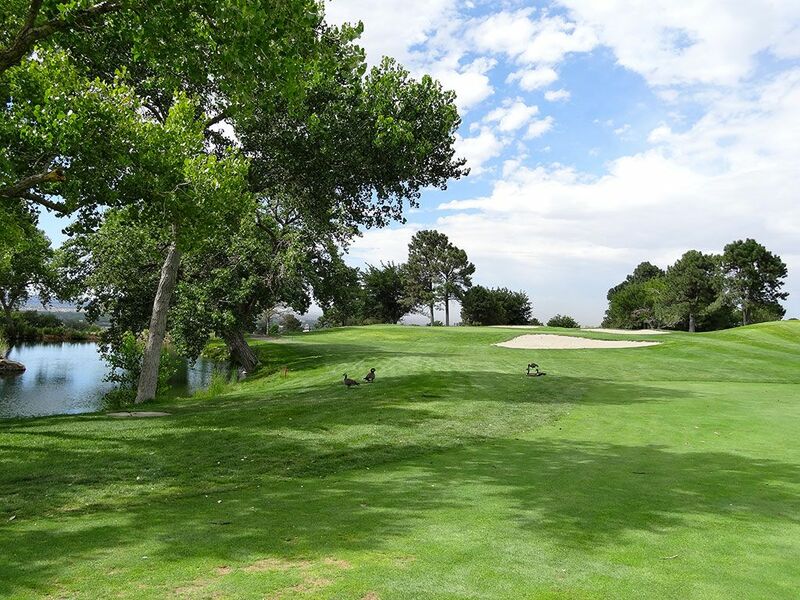 The course rests on the side of a hill and features tree lined fairways coupled with views of downtown Albuquerque. 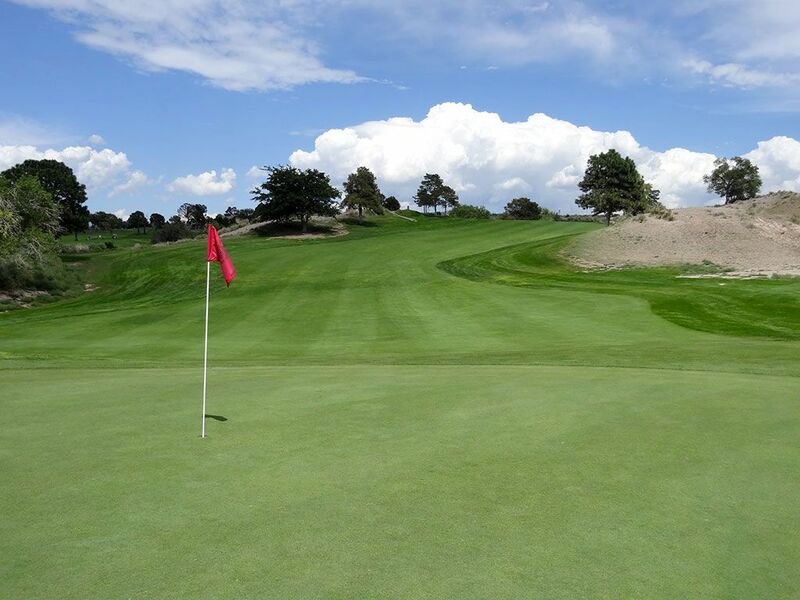 Despite the rolling terrain, the course is walker friendly and features greens that finish near the next tee. The course features a pair of water hazards on the back nine and a finishing hole that plays blindly to the green if trying to reach it in two. The course represents an excellent value and is maintained in beautiful condition. 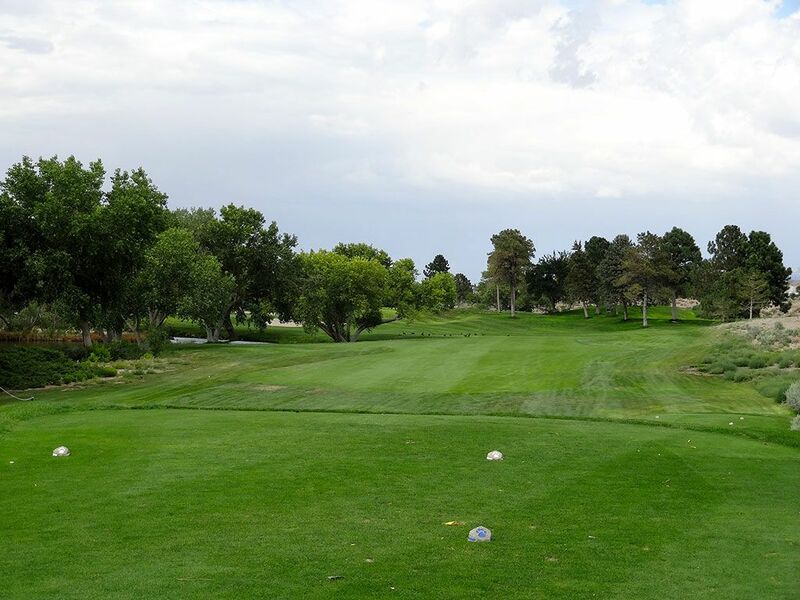 The Championship course at the University of New Mexico offers a classic parkland experience in the Southwest and is an absolute no-brainer to stop in and play when you are in Albuquerque. 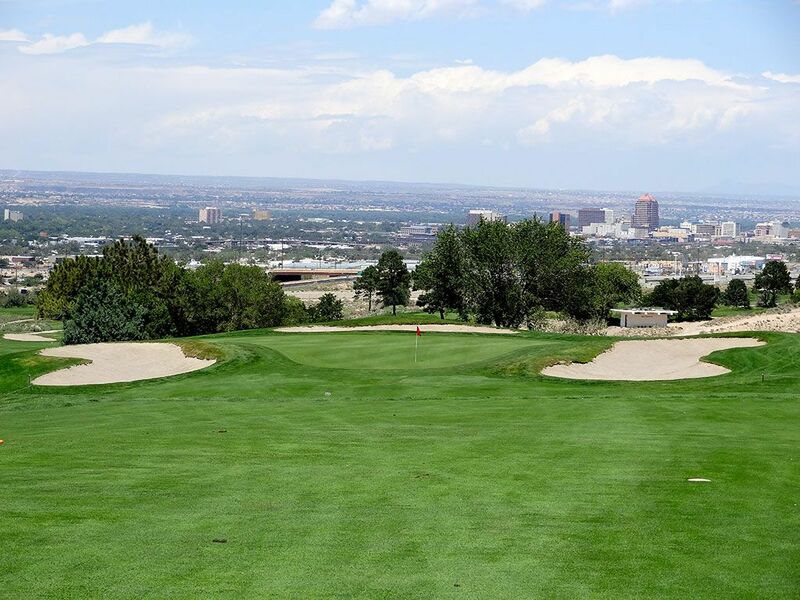 Signature Hole: 1st Hole – 539 Yard Par 5 – The opening hole sets the tone early at the University of New Mexico's Championship course by introducing the undulated terrain that is prevalent on the property as well delivering an impressive view of Albuquerque's downtown setting. Like Bandon Dunes' 4th hole that offers a view of the ocean after reaching the dogleg, the 1st hole here reaches a dogleg left before the fairway tumbles downhill to the green and boasts downtown views in the background. 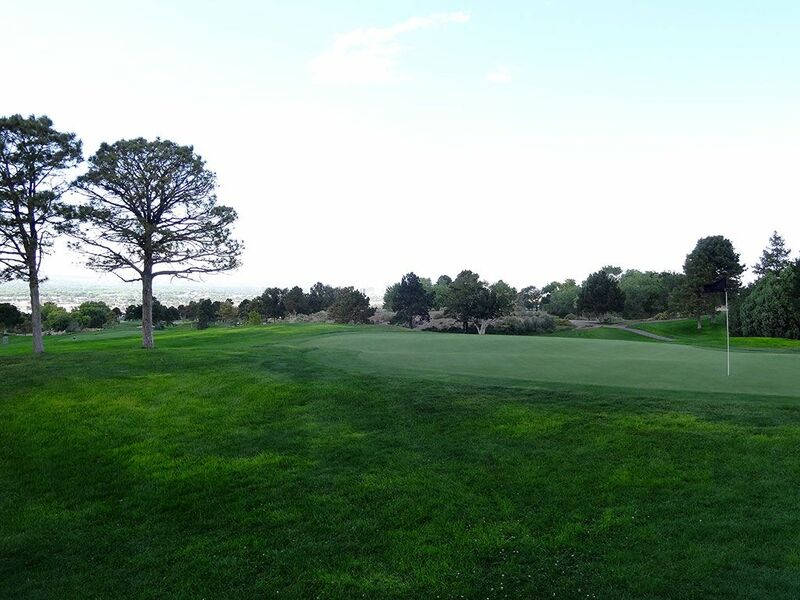 The hole will be reachable in two for many players given Albuquerque's altitude combined with the downhill nature of the approach shot. It is an impressive start and great way to score well right off the bat. Best Par 3: 8th Hole – 260 Yards – Now is the time to pull out that trusty hybrid . . . or driver! The 8th is a beast of a hole but highly rewarding if you can walk away with par. The hole plays back toward the clubhouse to a bunkered green that slopes off the front edge and quickly denies shots entrance onto the putting surface if they don't have the required power. There is some junk to clear between the tee and green so this isn't the time to top one into the bushes. Best Par 4: 15th Hole – 364 Yards – The 15th hole presents an interesting challenge because the hole doglegs around a pond that is also bordered by mature trees the whole way. There is some temptation to challenge the corner of the dogleg but the large tree wrapping around the hazard cause great pause in being that aggressive. An iron off the tee to the right side of the fairway sets up a good look at the green but all of the bunkering is on the right side of the green and becomes a formidable issue to contend with. The short yardage and layout of hazards creates a compelling hole that isn't as easy as the scorecard makes it look. Best Par 5: 18th Hole – 560 Yards – As is often the case with finishing holes, this par five climbs uphill towards the clubhouse that sits at the highest point on the course. The ascension to the green is rolling and intimidating with the final destination perched above the trouble that lurks low and to the right. Players wishing to avoid any risk should stay up the left side of the hole however a large knob protects the green on that side of the hole and can be difficult to navigate when hitting your approach shot. The undulations throughout the hole make this a unique finisher the likes of Yale's 18th. Birdie Time: 3rd Hole – 166 Yard Par 3 – This should be a green in regulation for at least three members of your foursome and offers a good chance for someone to walk away with a birdie. With a low iron in your hand players need to take dead aim at the flag on this shortish uphill par three and make hay while the sun shines. Red Lawrence gives players some gentle holes early on but requires much more of them later which is nice for players that ran straight from their car to the first tee. 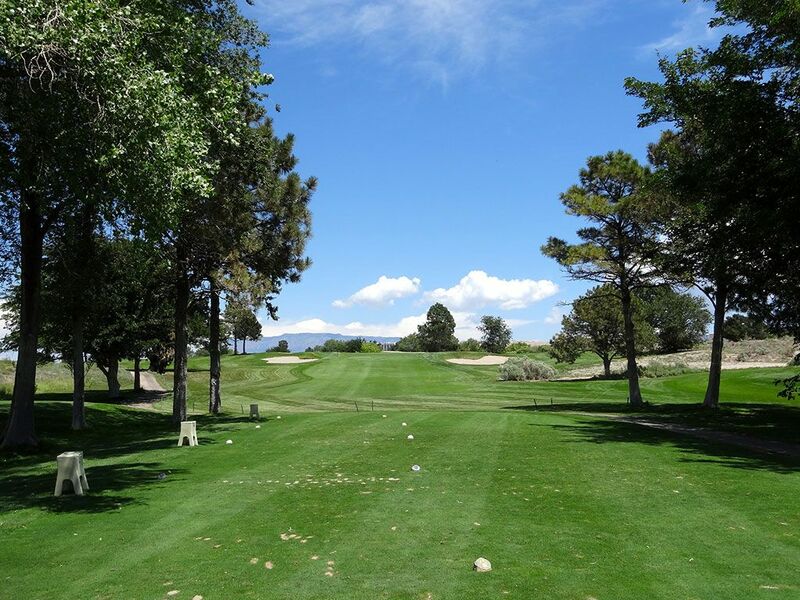 Bogey Beware: 10th Hole – 520 Yard Par 4 – I've been known to get a good chuckle out of players that get to the tee and say, "This must be a par five!" when it reality it is a mid length par four. Well, I was on the opposite end of that when playing the 10th hole after hitting my tee shot left into the junk before punching out, hitting my third shot on the green, and then two putting for what I thought was a par. It wasn't until the end of my round when I tallied up my score that I realized this 520 yard beast was actually a par four. In many respects it is a mirrored version of the 1st hole but with one less stroke to achieve par with. I actually love the hole and would really enjoy challenging it on a consistent basis if it were my home course, but make no mistake about it, more bogies are carded here than anywhere else on the course. Silvies Valley is a fully operational cattle and goat ranch three hours east of Bend, Oregon near the town of Burns. The 140,000 acre property is the definition of remote including the lack of cell service while at Silvies. The ranch counters that by giving guests a handheld radio that can be used to contact the various areas of the property and delivering Wi-Fi to your nicely finished room which can be utilized to make phone calls and receive texts once you engage that option on your phone.